Have you been searching and waiting for so long to check your Jamb results without success and yet you heard that the 2019/2020 Jamb Results is already out? Well, you are not alone in this because I have a brother who is among those that wrote the 2019 Unified Tertiary Matriculation Examination (UTME) on 12th April 2019. He told me that he heard that the Jamb Results was out but unfortunately when I tried to check the results it didn't work out and heard to search all over the internet just the way you are searching now to find real information on how to Check the results. I visited almost all the search results that appeared on Google regarding 2019 Jamb results checking issue but at the end, they are all saying the same thing and that is why I decided to clear some misconceptions after finding the truth. However, the Joint Admission and Matriculation Board (JAMB) made it clear that 2019 Unified Tertiary Matriculation Examination (UTME) results will not come out as quick is it did last year due to some obvious reasons. 2019 Jamb Results is it really out? I know you need a simple Yes or No for this answer but as at 17th April 2019 the Jamb results are not generally out and yes you will see online that the results are out but when you try to check it you will end up disappointed. However, after my 30 minutes research to find out if Jamb results are really out as they claimed but unfortunately, the news seems to be false. Don't conclude yet and leave this page because I have some important info for you, Jamb results are expected to be out any minutes from now and you need to learn how to check the results when it finally comes out. The most important information you need right now is the real Jamb portal address or Jamb result checker web address as we mostly call it. Knowing and checking your results at the right place and at the right time will enable you to see your Jamb results in no time. To check your Jamb results you need to keep an eye on these two Jamb portal website address below that will help you find your results fast. To easily check your results you can use your Jamb registration number, Phone number or an email address that you used during the time of Jamb registration. Moreover, you might be able to receive you Jamb Results directly to your email box but you don't have to wait since you can check it yourself. Try any of the two links below to check your results, though they are not clickable right now which shows that the Jamb results are not yet out. It's either the results is not yet out or that Jamb whats you to pay to check and print your Jamb results because Jamb provides some guidelines on how to print the Jamb results which involves paying N1000 printing fee. 4. Select “Print Result Slip”. This is available on the sidebar or on the Home page. If checking your Jamb results involves printing the results at once as instructed by Jamb then it simply means that everyone has to pay N1000 fee to see his or her Jamb results irrespective of your score. However, I strongly believe that the results will be publically available soon. Asking some to pay to check and print the results will surely be a bad move and condemnable. Immediately after Jamb what follows is admission and that is where the question on how to check jamb admission status comes in. Firstly, you must have created a profile in Jamb online portal because that's the first step and you should always keep your login details safe. 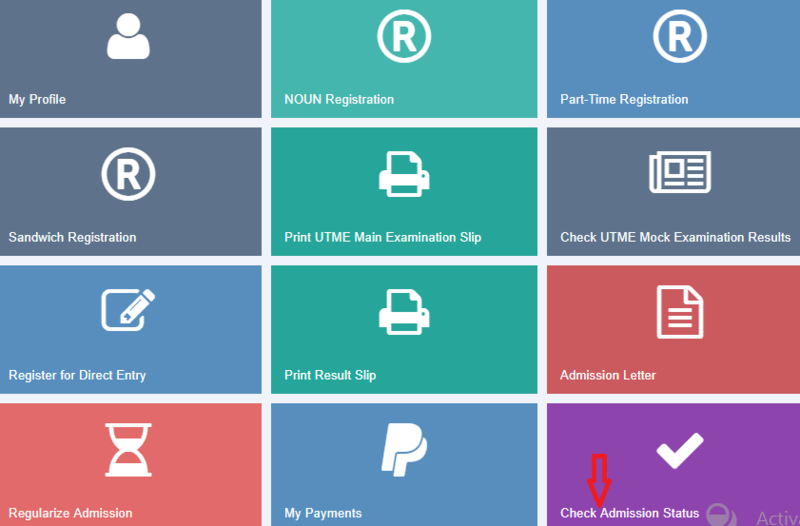 However, to check your jamb admission status you need to regularly log in to your profile and click on check admission status option to see if you have been offered into any of the Nigerian Universities, Polytechnics or College of Education. Infinix Hot S4 is the newest smartphone from Infinity mobility equipped with lots of awesome features and as well affordable to buy. However, it comes in two versions, Infinix Hot S4, and Infinix Hot S4 Pro which means that you have a choice to make between the two. To help you make the right choice where are going to discuss about the features, differences, and similarities. Generally, the phone features a 6.2 HD display, Android 9 Pie OS, 3/6GB RAM + 32/64GB ROM, Triple 13MP+8MP+2MP rear camera and 32MP AI Selfie camera and 4000 mAh battery capacity. Other features include Face ID, Fingerprint sensor and Dual Nano sim + SD Card, whatever you need is fully loaded on the new Infinix Hot S4 smartphone. You might be anxious to know the difference between Hot s4 and the Pro version but trust me there is nothing much. However, the only difference is the memory, Infinix hot S4 has 3GB RAM and 32GB internal storage memory while Hot S4 Pro boost of 6GB RAM and 64GB storage memory. The good news is that you can expand the storage memory up to 128GB using a micro SD card. The memory size will play some roles in determining their price and if you want the Hot S4 Pro you might be willing to add extra money while the normal Hot S4 is expected to be less in price. From my observation this smartphone great when it comes to the camera. whether Infinix Hot S4 or the Hot S4 Pro they are among the best camera smartphone optimize with everything you need to add to your beautiful look and styles. When you talk about display, the 6.2 Inch IPS HD+ waterdrop Infinity V style display with 156x75x7.9mm dimensions and 1520×720 resolutions gives you the best viewing experience and add to the fun when playing games and watching videos. Apart from the size of the phone and screen, the design looks sharp and attractive as it comes with a notch design and dual 2.5D Glass Body that makes it even more beautiful and smooth when held in your palms. Asking if you can upgrade your old phone to Android 9 Pie operating system might no longer be important since you can simply upgrade to infinix Hot S4 smartphone that comes with the latest Android 9 Pie OS supported by Infinix latest XOS 5.0 and MT6762, 2.0GHz Octa-Core processor that ensures great performance and stability. Get ready to enjoy the new Android world of possibilities with full access to interesting apps and games from the Google Play store. However, Infinix Mobility listened to their fans regarding the release of HOT 7 which lacks in memory but affordable though and decides to come with something better. Any smartphone with 3 to 6GB random access memory (RAM) and 32 TO 64GB storage memory will surely attract the attention of many users because that's what Nigerian users want most in a smartphone. With Infinix Hot S4 you have nothing to worry about. 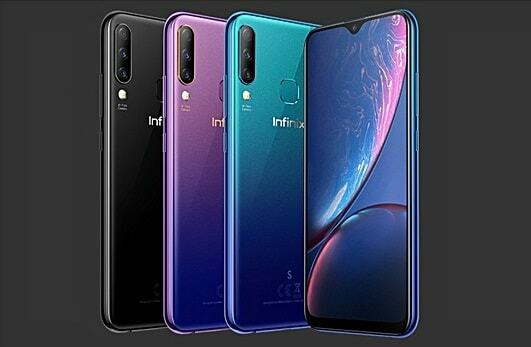 If you are the type who likes smartphone with a high-quality camera then you have got Infinix Hot S4 with Triple 13MP+8MP+2MP rear camera and 32MP AI Selfie camera with Phase Detection Autofocus, LED Flash that helps the phone produce beautiful and brighter images and videos. In conclusion, this phone has the right features you are interested to see in a smartphone and even more but the question now is the price, is it something you can afford? When you look at the features of this phone you will surely be wowed but the question is how much does it cost, I also checked to see if the phone is currently available in Nigeria and behold it's available and affordable.